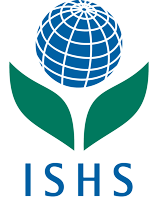 The IX ISHS Symposium on Light in Horticulture will take place in Malmö, Sweden, from June 8-12 2020. It is our pleasure to host this conference and invite you to attend! This event is an opportunity to bring together researchers to present their research innovations, to share ideas and knowledge and discuss future perspectives of light in horticultural production. Topics to be covered will include light in horticulture, crop physiology and ecophysiology, biotic interactions related to light, light and energy consumption, and light technology. The venue for the symposium is Quality Hotel View in the city district Hyllie, which is located by the first train stop across the Öresund Bridge from Copenhagen Airport. The venue is easily accessible for all attendees travelling to Malmö and just a 10 minute train ride from Malmö city center. Approximately 10 kilometers north of Malmö city center, in Alnarp, you will find the Swedish University of Agricultural Sciences which is the primary center for horticultural research in Sweden. A visit to the university is included in the symposium program. We look forward to welcome you in Malmö 2020!